Sleeping under the stars might be the height of relaxation. Yet, somehow, the Bubble Lodge looks like it has managed to improve the experience. Off the Map Travel -- the folks who put a hotel room on a sled so you can watch the Northern Lights -- has just announced the opening of a bubble hotel called the Bubble Lodge on the island of Mauritius. 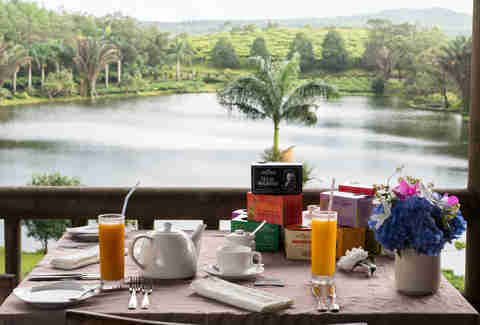 The three-room getaway is situated on the historic Cap Malheureux tea plantation, nestled in the Mauritius jungle. 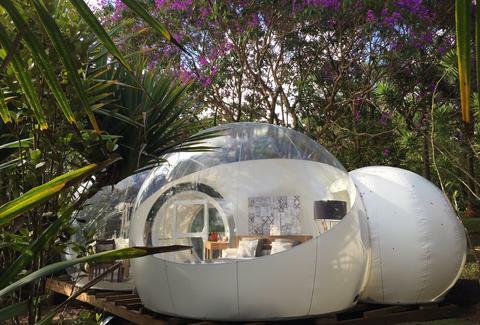 The "dreaming bubbles" were created by Pierre Stephane Dumas, a French designer who has constructed other bubble residences. Off the Map says the rooms were designed to be 100% renewable and have a low environmental impact, despite the fact that each bubble comes with air conditioning. The bubbles are reminiscent of the Northern Lights bubble rooms at the Five-Million Star Hotel in Iceland. 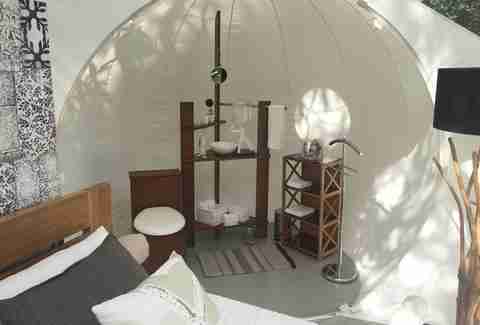 However, these are a little larger and come with a queen-sized bed, en-suite bathroom, exterior shower, coffee maker, and a decked-out relaxation area inside the bubble. “This is one of those special and memorable experiences that are sure to define a trip to [the] island," said Jonny Cooper, founder of Off the Map, in a statement. 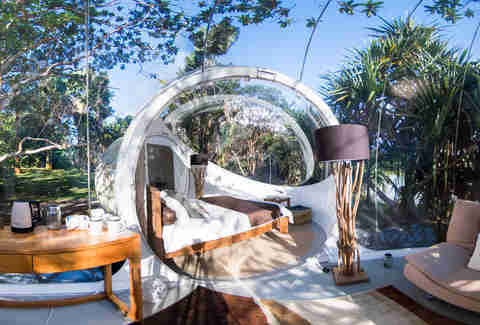 "The Bubble Lodge makes you feel like you are part of the nature that surrounds you – that’s the beauty of it." The island is east of Madagascar in the Indian Ocean, which should be your first signal this isn't a cheap vacation. A stay comes with dinner cooked by a private chef with your own waiter, a stargazing experience with "an expert astronomer," a street food tour, and a helicopter tour of the island. Each experience is tailor-made to your request, but the six-day, five-night example provided by Off the Map costs about $1,757 per person and that doesn't include airfare. 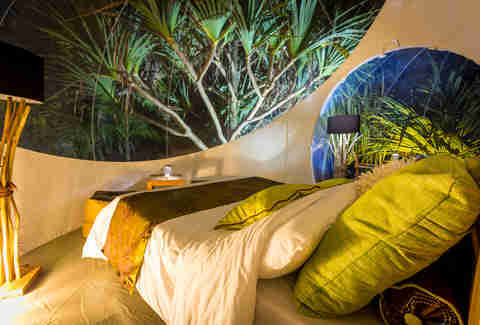 In that example, you get part of your stay in the Bubble Lodge and part at a beachfront hotel called Hotel Sakoa. It doesn't come cheap, but it's a unique experience. The good kind of unique. Not the bad kind, like being attacked by pelicans at your graduation.